Posted By:Unknown | At:1:57 PM Be the first to comment! (Sun Sentiel) --- The girlfriend of slain Miami teenager Trayvon Martin spoke to attorneys for his parents, detailing the final moments before he was shot to death by a neighborhood watch volunteer, ABC News is reporting this morning. The 16-year-old girl, who was not identified, said in a phone call recorded by the network that as Trayvon was walking he told her "some man was watching him" so he pulled his hoodie over his head. She told attorneys she then heard the 17-year-old ask "What are you following me for?" Then a man, presumably George Zimmerman, replied: "What are you doing around here?" The girl said Trayvon must have been pushed because his headset fell off and the phone call ended. ABC News released the interview during a Good Morning America segment this morning. The Department of Justice announced late Monday that they were opening an investigation into Trayvon's shooting death. Florida Gov. Rick Scott has also asked the Florida Department of Law Enforcement to assist local authorities in their investigation. Trayvon was returning from a convenience store when he encountered Zimmerman inside a gated Sanford community more than three weeks ago. The 28-year-old has a history of reporting suspicious activity in the neighborhood and recently-released 911 calls reveal he followed Trayvon against the dispatcher's advice. Moments later, Trayvon was found facedown in the grass. Zimmerman was bleeding from the nose and head. He has not been charged in the teen's death. Zimmerman said he shot him in self-defense. 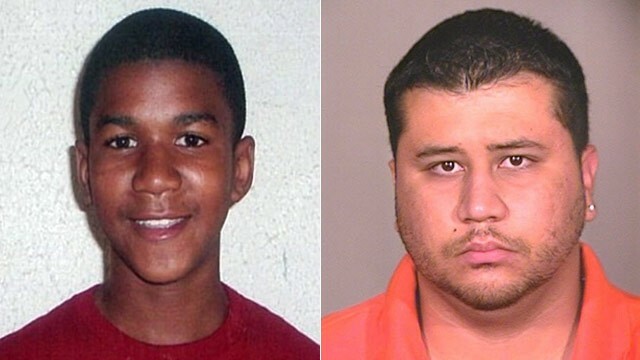 The state attorney in Seminole County, Fla., said that a grand jury will be convened to investigate the shooting death of Trayvon Martin, the unarmed 17-year-old whose killing at the hands of a neighborhood watch captain in an Orlando suburb has become national news. "I share in the desire of the family and the community to accurately collect and evaluate all the facts surrounding the tragic death of Trayvon Martin," Norm Wolfinger, the local state prosecutor, said in a statement. "The public is entitled to no less than a thorough, deliberate, and just review of the facts. We intend to honor that commitment."